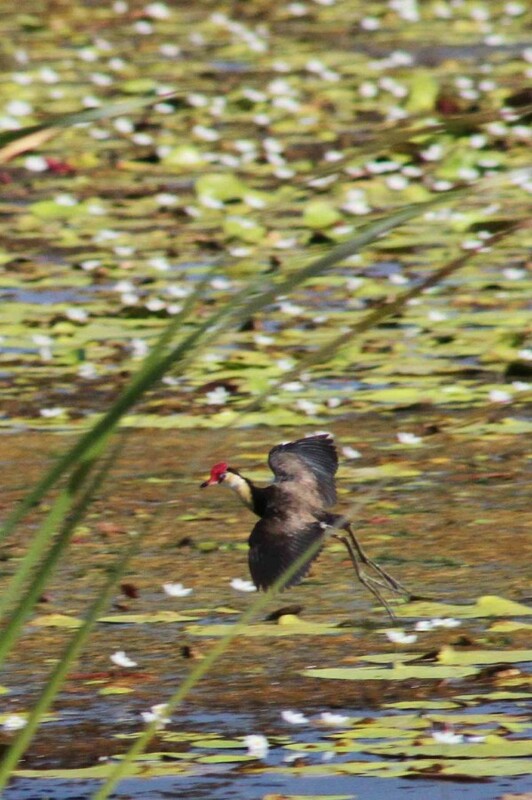 Also known as a lotus bird, the Comb-crested Jacana is a bird that spends most of its time living on floating vegetation and lilypads in waterways across tropical northern Australia. 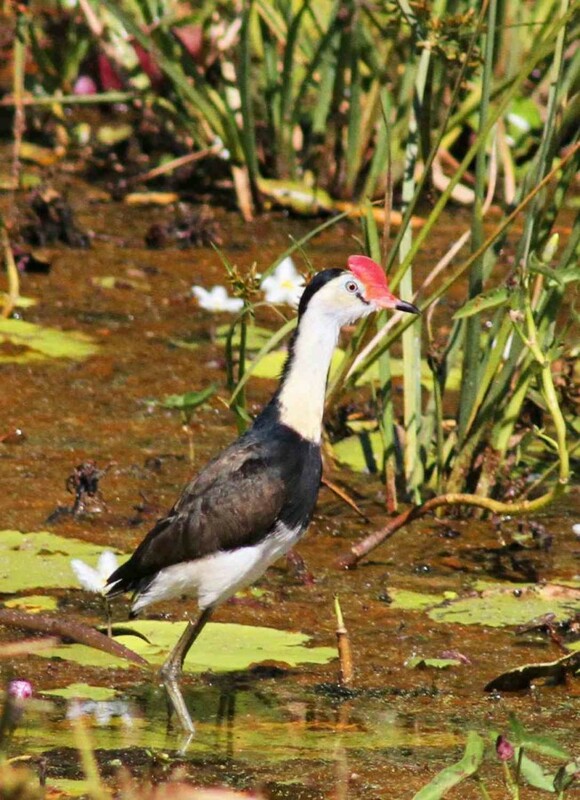 These birds are very distinct and are only found in freshwater environments and wetlands. They exhibit an unmistakable red crown when they reach adulthood, and juveniles have a brown forehead colouration. Their feet are specially adapted to the environment having long toes best seen when they are in flight. 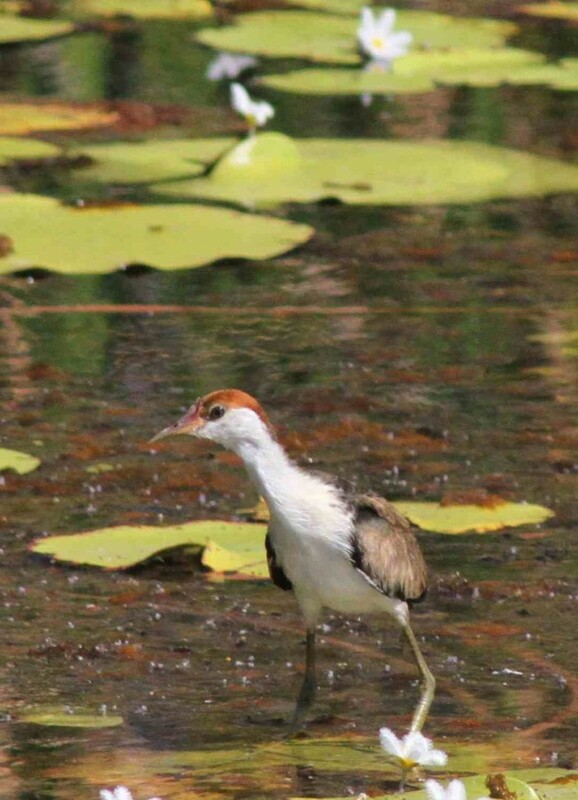 In Australia, these birds use these feet to spread their weight to walk on the lily pads. Elsewhere in the world, they use these same feet to walk on water hyacinth with ease. Today I am lucky to display three photographs of these birds displaying these features. The adult and young photographs are quite good, with improvement needed on finding a subject in flight. However; I may not get another chance in these freshwater wetlands.